We maintain a strict quality control norms to stand by other big names in the global market. Our in-house quality experts monitor each product very minutely in order to give maximum impetus to accurate dimensions and mechanical properties of our products. We regularly upgrade our machineries with the changing market trends. Moreover, our capabilities to deliver products as per the exact requirement of our clients have provided us an additional advantage over all our competitors. By passing our products through various tests, we verify their quality to make these eligible in the international market. Our high quality products are excellent in durability, strength and corrosion resistance. Being an ISO certified company all quality checks are followed with the of calibrated instruments and certified laboratories. Raw material is being procured as per company quality plan from approved sources and checks are being applied in addition to Mill T.C. Different inspection machines/instruments are available for this job All the production is being done under supervision of highly qualified and experienced staff, in process reports are being made to wave off any types of defects. 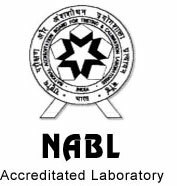 It has NABL accrediated in house laboratory & having scope of Chemical/Physical/Calibrating facilities in the name of Manjula Laboratory (Govt. of India Science & Technical Department).